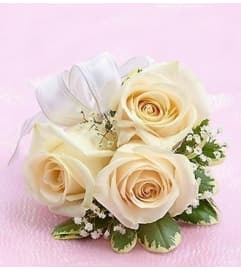 When the adorable flower girl walks down the aisle, you can count on everyone saying "awwwww". 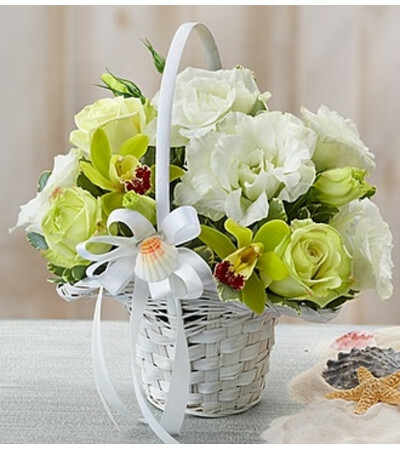 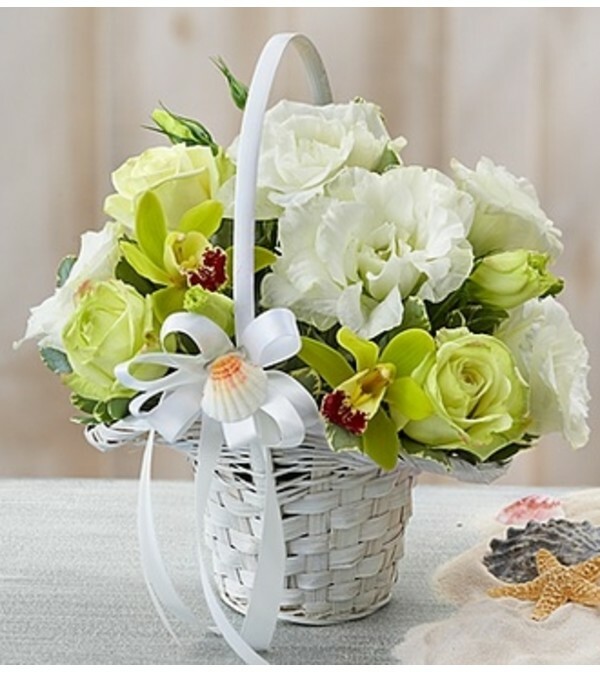 Be sure to add the "oohs" and "aahs" by having her carry our beach-themed basket arrangement, a charming mix of green roses, green mini Cymbidium orchid blooms and white lisianthus sure to make the moment memorable. 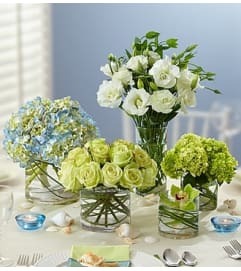 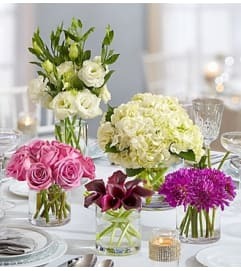 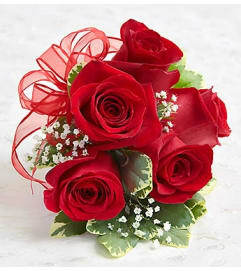 Include the matching petite bouquet for the mother of the bride or groom, a special guest or as a toss bouquet for the reception.